A further tribute to one of America?s great small labels that has sadly disappeared into corporate oblivion. Our previous compilation from the long defunct Macy?s label concentrated on their R&B releases but now we revisit their Country and Hillbilly output. Based in Texas, the label concentrated mainly on local acts that performed on radio and constantly toured the local area. For these artists records were mainly a calling card to get future gigs, and very few of these artists had long-term recording careers. One exception of course is Jim Reeves whose very first 1949 recordings are featured on this superb collection. 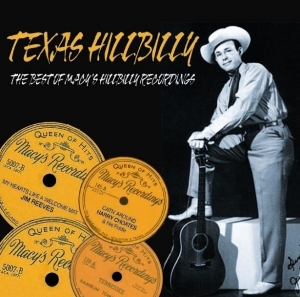 This album is not only a great tribute to a much loved label but also an historical document and a very enjoyable selection of early country and hillbilly music that will delight any collector.